There are a number of ways that people choose their profession or vocation. There are those who decide at a young age what they want to be, pursue it and do it until they retire. Others may make the same choices and have the same pursuit and later realize it wasn’t what they wanted and do something else. Then, there is the group that really didn’t have a set course and are lucky enough to stumble into the perfect job with the perfect employer at the perfect time. I think that is likely the case with Peggie Lara. I do not know for sure if 27 years ago, Peggie joined the Kids Who Count team, an early intervention program in Nebo School District, purposefully or if she stumbled on to it by answering an ad. Regardless of what took her there, she has spent the last 27 years of her life making it purposeful. When she joined Kids Who Count, the field of developmental disabilities had a lot fewer opportunities for employment, but Peggie stepped in and quickly found her place. She started by providing direct services to the Spanish-speaking families and conducting intake visits in their homes. She worked in other capacities and has been credited with contributing greatly to the success of the early intervention program. She understands the concerns of parents of children with disabilities and was able to communicate with them warmth, compassion and expediently scheduling initial evaluations. 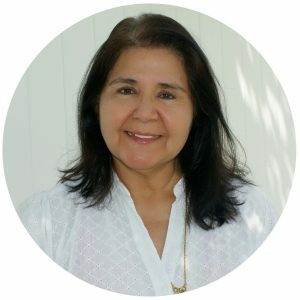 Peggie worked with Latino and Hispanic families by creating meaningful connections with the community and ensured inclusion. She also expanded cultural awareness within the Kids Who Count team. Peggie has agreed to continue to facilitate the “Learning with Books and Play” class for Spanish-speaking families. “Learning with Books and Play” is one of many programs offered through Kids Who Count and is co-sponsored through United Way. This is a fun and interactive class for Spanish-speaking children and families in the community. The class will meet on the fourth Wednesday of each month from 6 to 7:30 p.m. at the Kids Who Count building in Salem. The children will learn how to combine literacy and hands-on play to support learning and how to build in the four areas of child development: cognitive, physical, language and social-emotional. Information can be found at https://www.kidswhocount.org/our-services/learningwithbooksandplay. Peggie, you undoubtedly did great things for many people with great love. Enjoy your retirement.